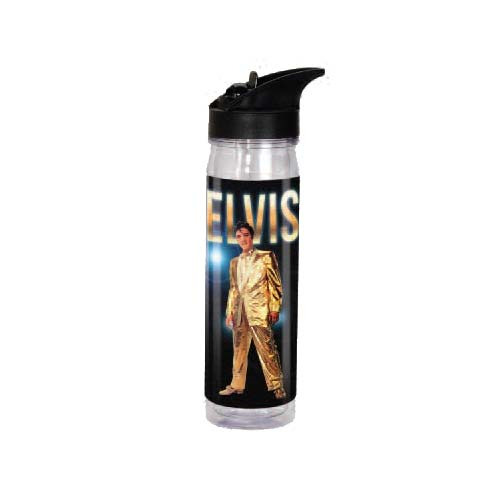 Elvis helps you stay hydrated! This Elvis Presley 18 oz. Acrylic Flip-Top Water Bottle features The King dressed in gold, his name above him. Water bottle holds up to 18 ounces of liquid and measures 11-inches tall. Hand wash only. Not dishwasher safe. Do not microwave. Ages 12 and up.